Concerns about autism are in the minds of new parents these days. It is alarming to learn that the disorder affects 1 % of our children; it is a lifelong condition for which there is no cure. Most parents turn to the Internet in search of information, only to find conflicting opinions, equivocal answers and no real help. What do we know about this disorder? What causes it? Are vaccines responsible for this epidemic? Where can a parent go for help? The truth is that we still don’t have clear answers to all those questions. Investigations continue without evidence of a single cause. But we are learning something through all the research going on in this field. Most experts agree that the condition starts before birth. We also observe that it is four times more frequent in boys than girls and the symptoms appear during the first 3 years of life. We can also identify many different forms of autism that now belong to what we call Autism Spectrum, which are a group of related disorders that affect behavior, social and communication skills. If you, as a parent, suspect autism in your child, then you must contact your pediatrician immediately. During health supervision visits, pediatricians provide questionnaires to parents to help detect early signs of autism that may be present but may not be obvious during the visit. Again, the information provided by the parents is essential. If you are concerned, share your thoughts with your child’s doctor. The easy questionnaire administered by pediatricians is called M-CHAT, and it should be administered at the 18 and 24 month visit, or any time the parent expresses concern. How can a parent identify signs of autism? There are multiple resources out there. One of them is provided by Autism Speaks, a non-profit organization established to create awareness of autism and to raise funds for research. Together with First Signs and First Words organizations, they produced video clips, glossaries and early signs to identify developmental delays. This information can be found at www.autismspeaks.org, www.firstsigns.org and www.firstwords.fsu.edu. The American Academy of Pediatrics, through their Healthy Children section, provides information about diagnosis and resources for children. Check out www.healthychildren.org for more information. It is going to be through the combined effort of researchers, doctors, parents and educators that we are going to find answers to the many questions we have. To some ,we already have an answer. We know, for example, there is no relationship between autism and vaccines; we learned that exposure to the mercury containing the preservative thimerosol does not increase the risk for developing the disorder, and we are also learning, through on-going research, other characteristics of the disease that may or may not be significant. One study, for example, points out that autism is more frequent in children conceived after an inter-pregnancy interval of less than 12 months. Another recent study from Denmark points at jaundice during the newborn period as a risk factor. The same study found the disorder is more common when mothers had previous children. Why? Because in Denmark women who had previous children go home soon after delivery, while those who are first time mothers have a longer hospital stay, and jaundice is more easily identified and treated earlier. 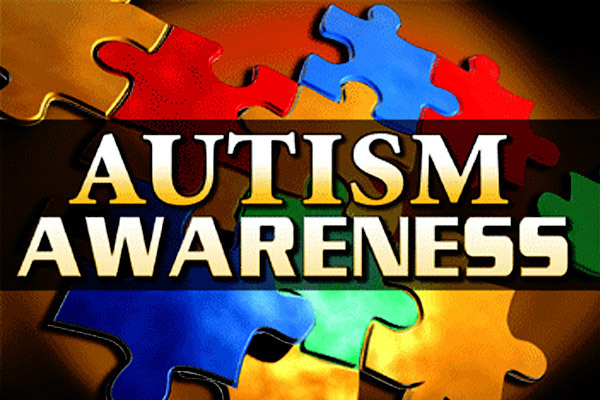 It is going to take the efforts of many individuals and the continuous observation of children with autism that will lead us to the right answers. For those families who need help, The National Center of Medical Home Initiatives for Children with Special Needs is a good resource to gain access to educational, resource and advocacy materials, guidelines for care, evaluation tools and technical assistance. They can be reached at 847- 434-4000 or at www.medicalhomeinfo.org. If you are concerned about your child’s risk for autism, please call (512) 733-5437 to schedule an appointment for an evaluation. You can find more resources on our web site at www.pediatriccenterofroundrock.com/austim-asperger-disorder.